Drawing on my quarter-century in the public/nonprofit leadership field, I could share many true stories of successful board chair-CEO collaboration that make the case for what really board-savvy CEOs well know: investing in the development of a rock-solid board chair-CEO working relationship can yield powerful organizational dividends. 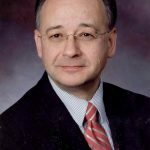 In fact, I would suggest that one of the preeminent priorities of a truly board-savvy CEO is to transform his or her board chair into a strong governing partner, a reliable ally, and when needed, an ardent change champion. The board chair makes an especially important partner for the CEO not only because of the chair’s formal authority as “CEO” of the governing board, but also the fact that board chairs are often major actors who wield tremendous influence in their communities, including in the profession or industry an association represents. 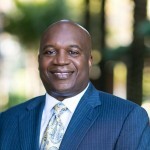 I’m pleased to report that APTA’s Board Chair, Nathaniel Ford, Chief Executive Officer of the Jacksonville Transportation Authority, and Paul Skoutelas, APTA’s President & CEO, have already – early in their professional relationship – become a cohesive leadership team, as the podcast they recently recorded for this blog demonstrates. Two of the characteristics of a really solid partnership I discuss in The Board-Savvy CEO (www.theboardsavvyceo.com) are agreement on shared leadership priorities and a clear division of labor in pursuing these shared priorities. Both are in evidence in Nat’s and Paul’s podcast, which focuses on one of their top leadership priorities: preparing local transportation authorities to play the leading role in their communities in addressing the mobility management issue. Nat and Paul make clear that local transportation authorities must make a stark choice in this time of dramatic, continuous change, in terms not only of communication and transportation technologies, but also of changing customer needs and preferences. They can be aggressively opportunistic: embracing and capitalizing on the opportunities that a tumultuous environment offers by playing the preeminent leadership role in their communities in partnership and network building that brings together various transportation modes (ride sourcing; car sharing; bike sharing; train and bus service; etc.) in a coordinated system, and by updating their business model to ensure success in this challenging new world. Or they can go on the defensive– definitely not what Nat and Paul recommend! – guarding their turf from competitors and attempting to preserve their traditional business model. 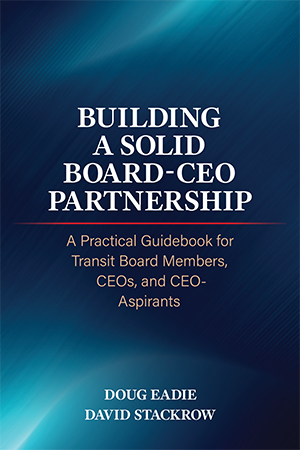 Nat and Paul also propose an active role for APTA in helping local authorities capitalize on these leadership opportunities that goes well beyond exhortation. One way is to convene conferences focusing on mobility management, such as APTA’s Mobility Summit on July 12, where successful experience can be shared. Another is to disseminate nuts and bolts guidance in partnership and network building. Let me know if you’re interested in sharing your authority’s mobility management experience in an article or podcast for this blog: Doug@DougEadie.com.